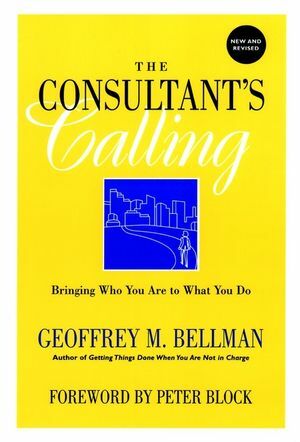 Revised and updated for consulting in the twenty-first century, this new edition is for anyone who wants to know what consulting is really like as a career, as a living, and as a life. Geoffrey Bellman reveals how to make the job rewarding both financially and personally as he examines the practical issues of managing time, clients, and money as well as such broader concerns as how to balance work with family life. 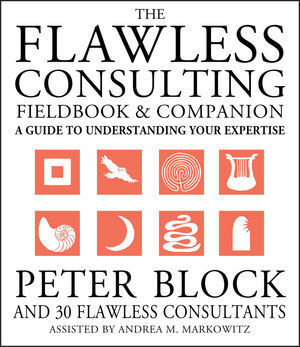 At once practical and personal, this book is for all types of consultants, all those who work with consultants, and all those who dream of being consultants. Geoffrey M. Bellman (Seattle, WA) has consulted to organizations of all sizes, from the inside and outside, including numerous Fortune 500 companies. He is the author of several well-received books, including Getting Things Done When You re Not in Charge the bestselling book that has sold more than 80,000 copies. Geoffrey M. Bellman lives in Seattle. He has consulted to organizations of all sizes, from the inside and the outside. Bellman is the author of best-selling books Getting Things Done When You Are Not in Charge, Your Signature Path, and The Beauty of the Beast. Introduction: In Pursuit of Purpose. Part One: A Foundation for Your Work. 1. Creating Your Balanced Life. 2. Creating the Right Work. 3. Setting Your Work Boundaries. 6. Why Clients Hire You. 7. Why Clients Keep You. 8. Building Trust with Clients. 12. The Consultant as Leader. 19. What Works When Creating Change. 20. How Not to Create Change. 21. You and the Marketplace. 22. Making The Leap into Consulting. 23. Stepping Back from Consulting. 24. The Quest for Meaning Through Work. Sixty Thoughts About Life and Work.